Q. Where do call numbers come from? Call numbers are based on the Library of Congress Classification system. Learn more about it here. 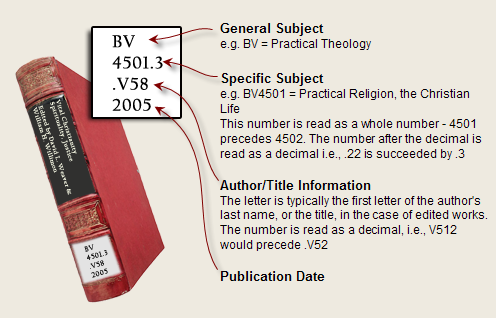 Call numbers are applied to books in the Cataloging Department of the library.